Julie: Congratulations on your second book! Like your first book, Fast and Furious: Barack Obama’s Bloodiest Scandal and Its Shameless Cover-Up, this new book, Assault and Flattery: The Truth About the Left and Their War on Women, is an exposé piece. I am sure many will find it eye opening and it had to take a dose of courage to write it. Who or what inspired you to tackle this subject? Katie: Thank you! There were a few big events over the past few years that inspired me to tackle this subject. The biggest was the 2012 presidential election, which I covered very closely. I was on the road a lot and was able to listen to the arguments from both the Romney and Obama campaigns, as well as from the media, on a whole host of issues first hand. The war-on-women rhetoric was used successfully by the Obama campaign. When that election came to an end, I came away with the impression that the left wants women to dependent on government, not independent from it. History has shown big government is detrimental to the advancement of women in a number of different ways, specifically when it comes to upward economic mobility, so I really wanted to tackle that narrative. Further, I can’t tell you how many women I talked to in 2012 who thought Romney would ban their birth control, which of course was completely false and a made up accusation hurled at his campaign from the media and Team Obama. The other big inspiration came when I was at the 2012 Democratic National Convention in Charlotte, listening to speech after speech about the right’s so called war on women. You can imagine how shocked I was when a 7- minute-long tribute video to none other than former Senator Ted Kennedy, the man who left a young woman, Mary Jo Kopechne, to die in his car, was played on the arena big screen and applauded by attendees. Of course, the Democrats who made that video failed to include that historic moment of his life. The hypocrisy was not only glaring, but also offensive and deliberately dishonest. I knew someone needed to point it out in a big way. Julie: What do you hope the book will accomplish? Katie: My hope for the book is that its message will debunk long-standing myths and point out the lies the left has told women throughout the past century in the name of political power. The list of lies is long and the book exposes them all. Assault and Flattery also serves as an important tool people can use to fight back against false narratives. 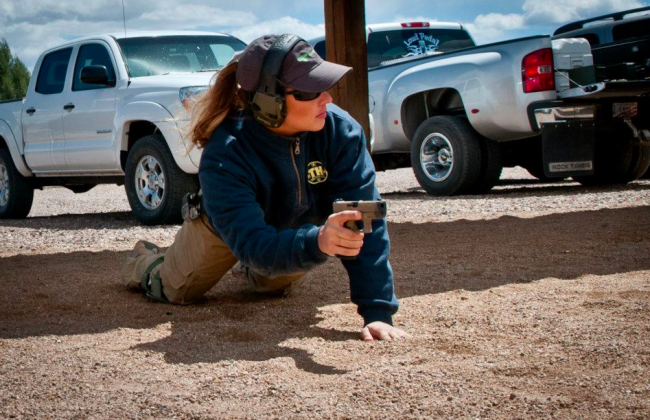 Julie: As a pro-gun, modern-day woman, it’s clear you love your cowgirl boots, shooting and hunting! It has to be challenging to stick to your roots, considering how much time you spend in our nation’s capital and in New York City! What do you do to stay connected to the outdoors? Katie: I wear my cowboy boots for 2 reasons. The first is because they remind me of home, and the second is because where I operate, mostly in Washington, D.C., there’s a lot to walk through. When you live or work in the middle of a big city, it can be challenging to stay connected to the great outdoors, which is why it’s so important to make that extra effort to get outside. For me, sticking to my roots is really important and getting back to them on a regular basis helps to recharge my soul. I have a hunt in Maryland scheduled for December that gives me something to look forward to. In the summer and fall, in particular, I do everything I can to keep my weekends open for outside activities, whether it’s fishing, shooting, hiking or even just hanging with friends. Every city has places around it that are awesome to get away to; D.C. and New York are no exception. It’s worth sitting in traffic to get there, I promise! Julie: How do you manage to maintain your femininity and grace in male-dominated arenas, like the media, politics and the shooting and hunting world? Katie: I just think it’s really fun to be a woman and to embrace femininity. We get to do things the guys don’t, how cool is that? Just because certain industries are male dominated, doesn’t mean women can’t function within them as exactly who they are — women. Julie: One of the many things I admire about you is your enthusiasm for firearms training and the shooting sports. As a Gunsite graduate and recent competitor at the Smith & Wesson IDPA Indoor Nationals, how have these experiences molded your view of the gun culture? Katie: I’ve been blessed with some incredible opportunities to see the gun industry and gun culture from a number of different angles. Gunsite and the Smith & Wesson Back IDPA Indoor Nationals not only gave me important training and skills, but also reminded me that the people involved in responsible gun ownership and American gun culture are the best people anyone could ever have the privilege of working with. I’ve also been blessed with coaching from some of the best in the industry, Buz Mills and his instructors and, of course, you,,Julie! The gun culture portrayed in the media is unfairly skewed in egregious ways, but the good news is the more people who are exposed to the facts about firearms, respect and training, the more people embrace it. 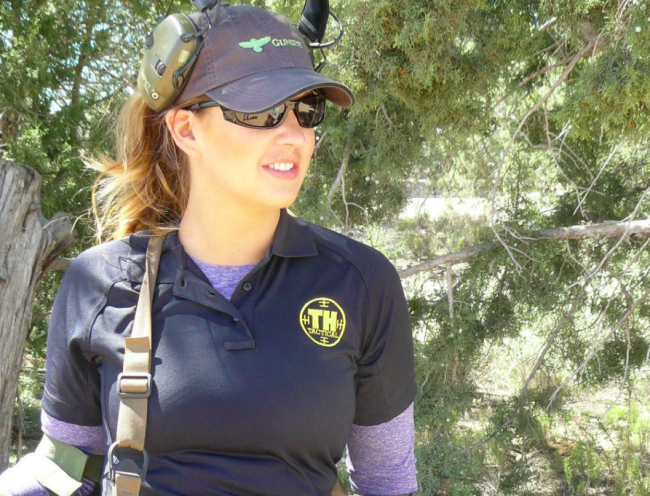 Julie: Hunting, shooting sports and gun ownership, in general, are more often than not portrayed negatively in mainstream media, and anti-gun groups are honing in on women. What advice can you give for women who may feel uncomfortable speaking out when it comes to women’s rights and the importance of the Second Amendment? Katie: I would tell them they aren’t alone and that there are millions of women who believe in the same freedoms and rights as they do. Before women had the right to vote, they had the right to own a firearm (there’s an entire chapter about women and firearms in my book). Speaking out is incredibly important and the amazing thing about media today, new media, is that everyone can have a voice with huge influence in the gun debate. Juie: As a champion for hunters and shooters, you have so much reach among Townhall.com, Fox’s Outnumbered and your huge social media following. How can the every day person make a difference? Katie: Anyone can make a difference, but that can’t happen unless someone makes the decision to get involved. Everyone has to start somewhere and every voice is an important one. Come on in, the water’s fine! Visit Townhall.com and follow Katie on Twitter @katiepavlich. Thank you for all that you all do for the women of America.